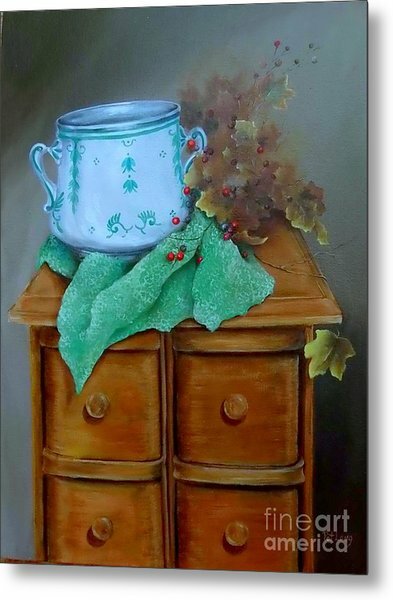 Grandma's Sewing Chest is a painting by Patricia Lang which was uploaded on March 10th, 2017. 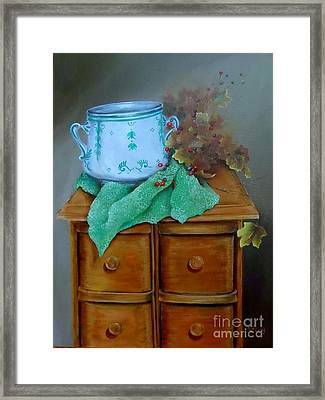 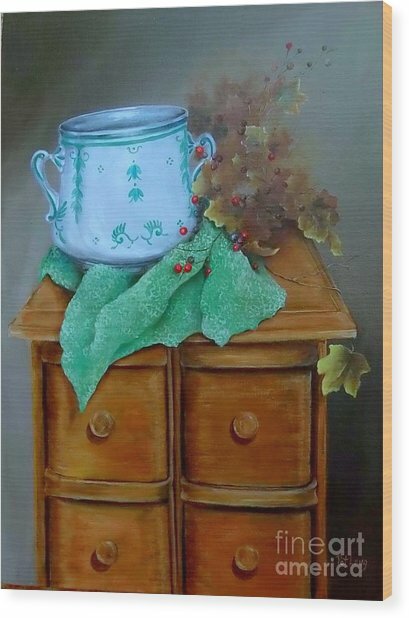 This still life painting is of an old sewing chest that was once part of an old treadle sewing machine, with a green fabric sitting under a blue ceramic container. 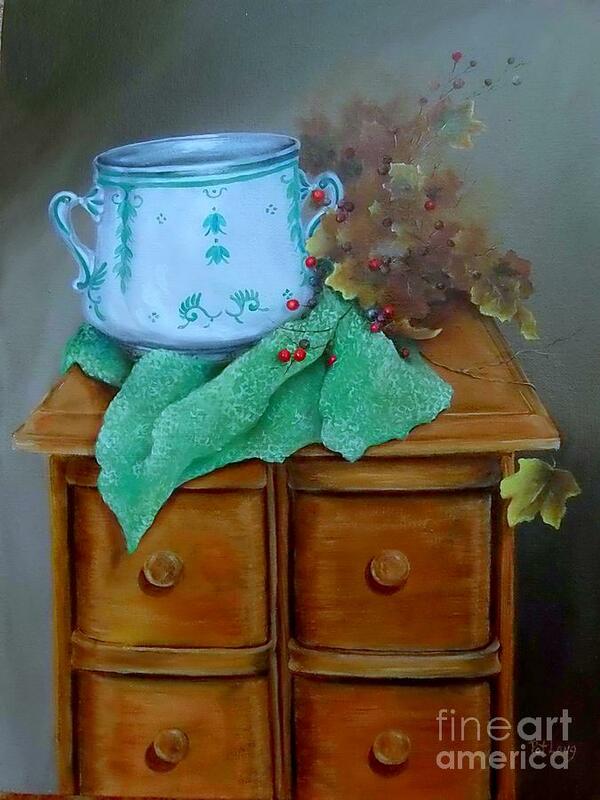 Leaves encircle the items. There are no comments for Grandma's Sewing Chest. Click here to post the first comment.